Consumer groups seem to believe that both landlords and tenants should, in general terms, benefit from the new law which is trying to put more empty properties into the rental market. 11.05.2014 - High unemployment rates and the difficulty of getting house purchase finance means that fewer and fewer Spanish residents can choose to buy a property. However there are over three and a half million empty homes in Spain, 15 per cent of the housing pool according to the census on population and housing which has just been published by the Spanish Statistics Institute. Over 30 per cent of European citizens live in rented accommodation, but in Spain, up to now, that figure stands at just 17 per cent, the lowest figure in Europe. The law which came into force last year to develop the housing rental market and make it more flexible has introduced a number of legal and taxation changes. Previously the rent could only rise by the inflation rate, now from the third year onwards; the amount of increase can be agreed freely between tenant and landlord. The minimum five year contract has been reduced to three years and the minimum contract with extension from eight to four – giving more flexibility to those who are thinking of selling when the market improves and thus don’t want to commit to a long rental contract. The landlord can also reclaim the property after the first year for his or her own use, for parents or children’s use or for a partner after a divorce decree. All it needs is a registered letter giving a firm date and at least two months notice. The law now allows the tenant to leave a property after six months, giving just one month’s notice. However in practice, this is what they have often done anyway as taking them to court to claim compensation is too costly. New rental contracts must be registered at the land registry. This protects the tenants from the property being sold out from under their feet. However, if the owner has the property claimed by a finance company or similar through a court action or similar and the property is auctioned off, all the tenants rights are lost. The process from evicting non-paying tenants has been speeded up. The eviction process can be requested even if the tenant has only missed one month. If the amount is not paid, the process for eviction is a lot faster and could be resolved in three months. There is now a register on unpaid rents. If you are thinking about renting out a property to a particular individual, you would be wise to consult it. Often these kind of debtors are habitual offenders. Landlord and tenant can now agree to cancel the tenants’ right to first purchase of the property if it is put up for sale. They can also come to an agreement for a reduction in the monthly rent in exchange for improvements to the property. All properties must have an energy efficiency certificate. 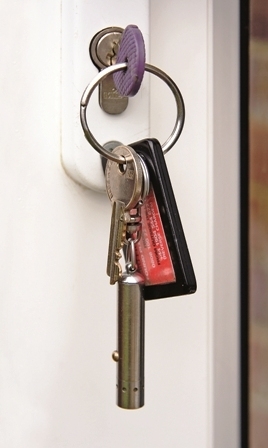 Landlords caught renting without providing this, face fines of between €300 and €6,000. It is believed that more properties will come on the market as a result of these measures and that therefore prices will fall. However, those landlords who have already been bitten by poor-payers who have left their properties trashed and with many items stolen or broken after months of trying to get them out may well be very hard to convince – and even less so at even lower rates of return. Produced with news.CMS in 0,0711 seconds.